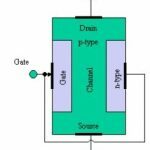 What is mean by FET? 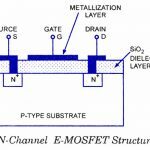 FET stands for Field Effect Transistor. 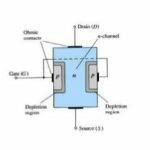 The FET is a three terminal unipolar solid state device in which the current is by an electric field as in vacuum tubes. Vacuum tubes are voltage controlled device while the transistor (BJTs) are current control device. FETs are also called as unipolar transistor because they involve single carrier type operation. At low frequencies field effect transistor (FET) indicates very high input impedance. 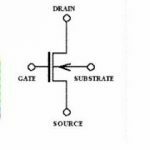 The FETs have three terminals are Source, Drain and Gate. Source (S): In which the carriers enter the channel. The current entering the channel at is indicated by IS. The drain to source voltage is VGS. Drain (D): In this carriers leave the channel. The current entering the channel at drain is indicated by ID.The drain to source voltage is VDS. 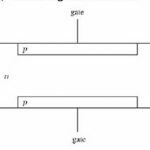 Gate (G): It is the terminal that modulates the channel conductivity by applying voltage to gate (G) one can control ID. 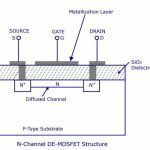 What is junction field effect transistor (JFET)?